Marriage is truly a “great mystery,” the mystery of the meeting of human love and divine love, the very sign and image of God’s presence with humanity. In the Old Testament, Israel was referred to as God’s “spouse,” while in the New Testament, the Church is referred to as the “bride” of Christ. These images attempt to convey in human categories what the Church Fathers refer to as the “frenzied love” of God for His people. Marriage is much more than a merely private transaction between two individuals; it is an event in which Jesus Christ Himself participates through the presence of the sacramental minister, the priest, and that of the praying community, the church. In view of this “ecclesial” dimension of marriage, therefore, a wedding must be performed within the context of the Orthodox Church in order for the Church to recognize and affirm the validity and authenticity of the marriage. One or both members of the engaged couple must be a member in good standing St. Demetrios Greek Orthodox Church; he/she must be a pledging member and must be up to date on his/her pledged financial commitment. Most importantly, and has very little to do with your financial contribution, is your participation in the life of the Church. Do you attend worship and receive Holy Communion regularly? Have you been to Holy Confession? Are you in tune with your spiritual life and with Jesus Christ the Son of God? If one of the spouses has been previously married and divorced, he/she must present a copy of the civil divorce decree. Furthermore, if a previous marriage took place in the Orthodox Church, the divorced spouse must also have received an ecclesiastical divorce. Please be advised, this process for Ecclesiastical divorce can take a few months. The Sponsors (koumbaros/koumbara) is the one who stands as witness on behalf of the Orthodox Church during the ceremony. Hence, it is imperative that this person be an Orthodox Christian in good standing with the Church; there are no exceptions to this rule. The Sponsors must also be a member in good standing of the Orthodox Church. If he/she belongs to another Orthodox parish, the priest must receive a letter of introduction from their parish priest. As stated above, membership in good standing is a broad term: if he/she is married, the marriage must have been blessed by the Orthodox Church; if divorced (after marriage in the Orthodox Church), an ecclesiastical divorce must already have been issued. No invitations should be printed until the date has been cleared by the church office. In order to provide the engaged couple with every opportunity to enjoy all the blessings of married life, a three session program of pre-marital counseling is provided by the priest prior to the wedding. Please note that these sessions are not optional. If the engaged couple so chooses, they may seek professional pre-marriage counseling with a qualified therapist; in this case, the couple should inform the church office of their choice in advance. 2. If the bride and/or groom have come from Greece or some other foreign country after their 18th birthday, he and/or she must present a “Certificate of Eligibility for Marriage” from the bishop of their original town and state. 3. If the Bride or Groom is from an Orthodox parish in some other city, he/she must present a letter from his/her priest attesting to eligibility for marriage. 4. If the Bride is under 18 years of age and/or if the groom is under 21 years of age, a letter of consent from the parents must be presented. 5. If the Bride or Groom was married before in a civil service, a CERTIFIED civil divorce must be presented. 6. If the Bride or Groom was married before in the Orthodox Church, that marriage must have been officially dissolved by an Orthodox Church Court. The original document attesting to the Church Divorce must be presented. 7. If the Bride, or Groom is a member of some other Christian Church, a letter from their clergyman stating that he/she has been baptized in the name of the Holy Trinity and that he/she is eligible to marry must be presented. 8. If the Bride or Groom are widowed, a death certificate of the deceased spouse must be presented. The goal of the Orthodox Church is to give each married couple the best opportunity for a blessed and fulfilling marriage; hence, the Church can never condone living together prior to the marriage. Not only is there no question from a biblical standpoint that any sexual relationship outside of marriage is inappropriate, but statistics gathered by secular professionals clearly show that there is a 50% HIGHER divorce rate among couples who have lived together prior to their weddings than those who have not! The Church must make every attempt to give couples a healthy, appropriate start. Therefore, any couple wishing to be married at St. Demetrios that is currently cohabitating must do everything they can to separate until their wedding date; this decision is made in a loving spirit of concern for the health and stability of the future marriage. The appropriate place for a sacrament of the Orthodox Church is the Holy Sanctuary. It is not customary to perform sacraments outside the Church…for example, in a home, back yard, or local park. On extremely rare and unique occasions, exceptions have been made, but these are usually due to other exceptional or extenuating circumstances. 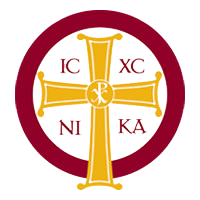 The bride and/or groom who are of the Orthodox Faith are encouraged to participate in the sacraments of Holy Confession and Holy Communion the week before the wedding. 2. Rings for both the bride and the groom. 5. If desired, a platter with white Jordan almonds (koupheta) are traditionally prepared for the wedding. The Sanctuary of an Orthodox church is magnificent in its own right, and does not require further “decoration”; this is particularly true at Church of our Saviour. Flowers are permitted in the sanctuary or the narthex area but must be approved by the parish preist and done in good taste. If a candle stand is to be placed down the aisle (in the event of an evening wedding), approval must be obtained in advance from the priest. Regardless of fashion and societal custom a sense of modesty and chastity must be maintained in the Sanctuary. Every wedding takes place in front of an icon of the ever-virgin Theotokos, whose humility and modesty requires a corresponding sense of decorum; bridesmaids must therefore have their shoulders covered in Church. If the bridesmaids’ dresses have bare shoulders, a wrap or jacket for use in the church must be provided. At the reception, the bridesmaids may of course wear whatever they wish. If an organist is desired either to play prior to and after the wedding service, or to play the wedding march plus recessional, arrangements must be made through the Church office. Additional instrumental music or vocal soloists are permitted to perform in the sanctuary but must be approved by the parish priest. If you wish to have the priest attend your reception, please send an invitation to him and his presbytera in advance. Too many people simply assume that the priest will come and then casually mention it following the service. Due to the size of our St. Demetrios community, it is very difficult for the priest to attend every reception. He will make every attempt to at least make an appearance and give the blessing before the meal. In some circles it is “fashionable” to be late. But in an active parish, this wreaks havoc with schedules. Frequently, two or even three weddings or baptisms are scheduled for the same day. Other parishioners should not be punished due to one person’s tardiness; every effort should be made to be prompt on your wedding day. You must be aware, if the wedding is delayed for any length of time, the priest might have to adjust the schedule accordingly; in extremely rare circumstances, your wedding might be delayed until the end of the day. 1. The non-Orthodox Bride/Groom must be a Christian who has been baptized in the name of the Holy Trinity. 2. The couple should be willing to baptize their children in the Orthodox Church. 3. The marriage must take place in the Orthodox Church according to the prescribed form of the Service Book, the Orthodox priest being the sole celebrant. 1. The Orthodox priest, after receiving permission from the bishop, will issue an invitation to the clergyman. 2. 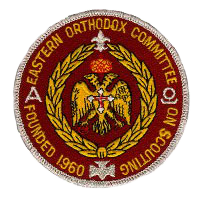 The Orthodox wedding ceremony does not permit the active participation of non-Orthodox clergy, this being made explicit to all concerned. 3. At the conclusion of the Orthodox ceremony, the guest clergyman, advised as to appropriate vesture and as agreed previously, will be properly acknowledged and may give his benediction and good wishes to the couple. 1. An Orthodox priest, if invited, may attend the marriage ceremony in a non-Orthodox church, but only as a guest. He may not participate in the service nor offer any prayer. 2. Non-Orthodox persons may act as ushers or bridesmaids at the Orthodox Marriage, but the koumbaros/ koumbara must be an Orthodox Christian, as stated earlier. 3. Orthodox Christians may act as ushers or bridesmaids at marriages properly solemnized in other religious communions, but they may not serve as the Best Man. 4. An Orthodox Christian whose marriage has not been blessed by the Orthodox Church is no longer in good standing with the Orthodox Church and consequently is not eligible to participate in the sacraments of the Orthodox Church, including receiving Holy Communion, acting as a sponsor at an Orthodox wedding, baptism or chrismation (confirmation), or to receive an Orthodox funeral. 5. 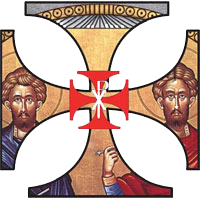 A non-Orthodox Christian who marries an Orthodox Christian does not automatically become a member of the Orthodox Church, and is therefore not permitted to receive Holy Communion or the other Sacraments of the Orthodox Church nor an Orthodox funeral. 8. The eve of Christmas, Epiphany, or Pentecost. 1. Parents with their own children, grandchildren or great-grandchildren. 6. Godparents with Godchildren or Godparents with the parents of Godchildren.